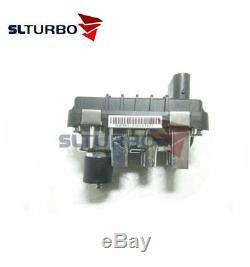 Gtb2056v turbo actuator wastegate 765155 765156 757608 mercedes-benz om642 2005. 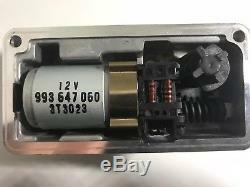 Please confirm the number g on your old actuator before purchase! 66019589aa, 68037207aa, a6420901480, a6420900280, a6420901180, a6420900780, a6420908580, a6420900880, a6420901680. 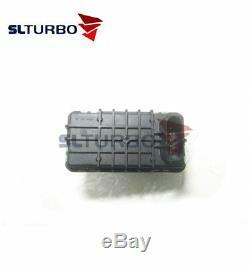 Turbo actuator for chrysler 3000c 3.0crd 160kw 165kw 218hp 224hp om642 2004. Turbo actuator for dodge sprinter 3.0crd 160kw 165kw 218hp 224hp om642 2004. Turbo actuator for jeep cherokee 3.0crd 160kw 218hp om642 2005. Turbo actuator for mercedes c320 3.0 165kw 224hp om642 2002 Turbo actuator for mercedes e320 3.0 165kw 224hp om642 2005. 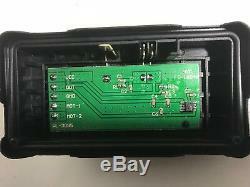 Turbo actuator for mercedes e280 3.0 140kw 190hp om642 2006. Turbo actuator for mercedes g280 3.0 135kw 184hp om642 2007. Turbo actuator for mercedes m320 3.0 165kw 224hp om642 2005. 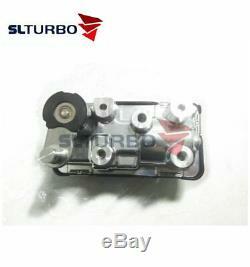 Turbo actuator for mercedes r320 3.0 165kw 224hp om642 2005. The installation of the turbocharger is a professional job, this work can not be done in a garage or in a yard by yourself me. Make sure the turbocharger is installed by a professional mechanic. Normally, your mechanic will check the operation of the old turbocharger, because sometimes the exhaust problems are not caused by the turbocharger itself. It is therefore necessary to also replace the engine oil and the oil filter during the turbo installation. The oil supply hose should be replaced if it is too old, and do not forget to prime the turbo before installation. It is very important to make sure everything is 100% clean without dust in the ducts and the turbocharger. Make sure that the delivery address and the phone number are correct so that we can contact you if necessary. We offer a 12 month warranty. The warranty does not cover damage resulting from improper installation or misuse. The warranty is valid from the date of receipt of the order and covers the defects of the manufacturer under normal conditions of use. All returns must be reported within 7 business days of receipt of the item and in its original condition. Generally orders will be shipped within 24 hours of payment. All orders will be sent via gls or default dpd express. If you have other conditions, do not hesitate to contact us. The tracking number of the shipment will be provided once the order has been shipped. Sl turbo manufactures turbochargers among the most efficient on the market since 1995. Our 22 years of professional experience and the very high level of qualification of our teams have allowed us to acquire a solid reputation in the turbocharger market. We stock all the most common turbocharger models in Europe. The item "gtb2056v turbo actuator wastegate 765155 765156 757608 mercedes-benz om642 2005" is on sale since Wednesday, January 2, 2019. 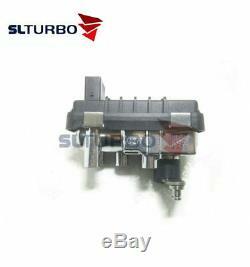 It is in the category "auto, motorcycle parts, accessories \ auto \ parts \ turbos, superchargers \ turbos ". The seller is "slturbo-1" and is located in les gonesse. This item can be delivered anywhere in the world.